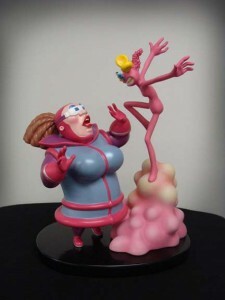 Better be careful fellas – it’s “that time of the month” for Ms. Splosion Man. And you have to be especially careful when dealing with a girl made of pure combustible material. Through what Twisted Pixel are calling TMS, or Title Managed Storage, the developers of Ms. Splosion Man are planning to deliver new monthly challenges, free to owners of the game. The first is available now, up until the 31st July, and sees a joint venture with Destructoid. 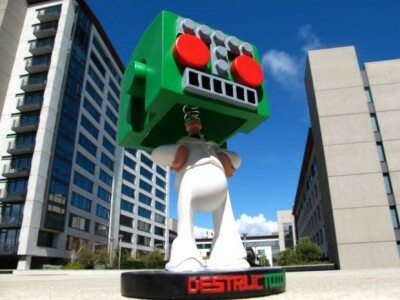 Participants are ranked on a leaderboard, with the top three winning a Twisted Pixel/Destructoid prize pack, including a Ms. Splosion Man light-up statue, a Destructoid bobblehead (both pictured below), and t-shirts and posters from both studios. In addition, a random participant will win a Twisted Pixel prize pack. In other free download news, a new level for the original Splosion Man is also now available. 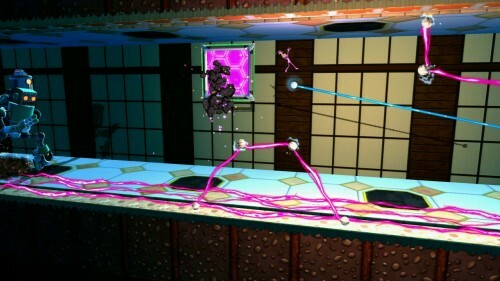 The level will bridge the gap between the two games: players will control Splosion Man through to his capture at the beginning of Ms. Splosion Man. Aaaand that’s still not everything! In the next month or so, a Ms. Splosion Man-themed pinball table will also be released for Zen Studios’ XBLA title Pinball FX2. Twisted Pixel have been very busy. It’s a good time to be a fan of their dynamo duo.